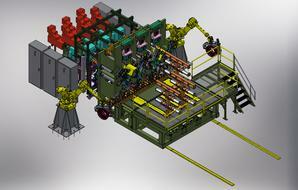 Custom Design, Fabrication, Machining | Automation International, Inc.
From an Idea to a Solution! 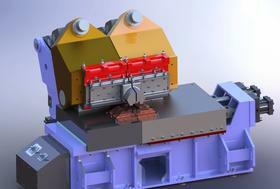 Large Boring Mill Capacities - Up to 20 ft.
Large Capacity VTL - Up to 195 In. Automation International, Inc. offers comprehensive in-house capabilities that enable us to meet project requirements effectively and efficiently. Our multi-disciplined team can lead a project through planning and design and through start-up and commissioning. 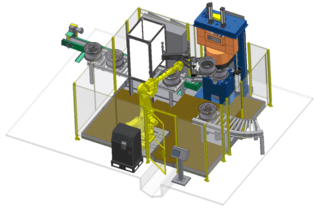 Regardless of project size, scope, and complexity, we follow an integrated approach to delivering innovative solutions that synergize our equipment designs with our customer's manufacturing needs. Contact us and speak to a sales engineer with questions or further information regarding your needs. Aii engineers bring a depth of resources and experience to the project goals of its customers, as well as the ability to balance design considerations with cost and timing constraints. 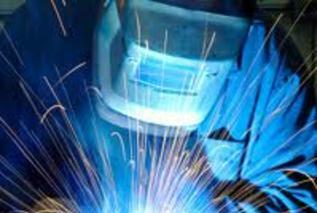 With a cohesive and versatile team, Aii offers cost efficient and robust quality solutions for the manufacturing and welding industries. 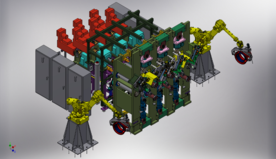 By applying tools and techniques, along with current 3D CAD software, Aii can ensure quality machine designs. AWS Certified Welders on staff. Proficient in MIG, TIG, Brazing, Soldering. 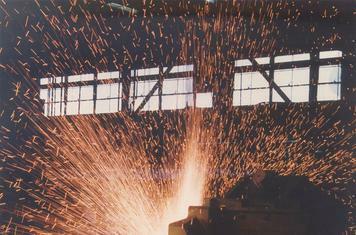 Linde Burning Machine 8’ X 20’ table, 8” thickness capacity. Plasma Cutter 1” thickness capacity. 4 large capacity weld bays. 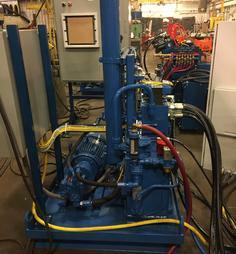 3 Medium capacity weld bays with weld positioners. 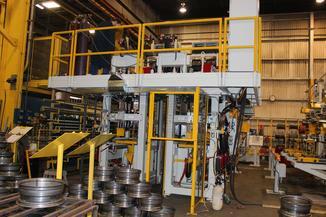 500 Ton American Press Brake. (2) Cincinnati Shears ½” x 12’ capacity. Subharmonic Vibratory and Thermal stress relief available. Sheffield 106” X 150” X 48” Layout table with Digital read out. Steam pressure washing and grit blasting available. Multiple Journeymen Machinist on staff. Carlton Horizontal Floor Type CNC Boring Mill. 300” x 120” x 60”. 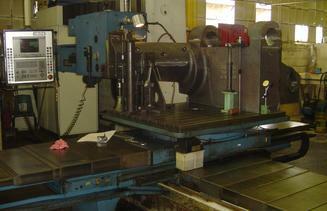 Union Horizontal CNC Boring Mill 50” x 55” x 48”. Lucas Boring Mill 62” x 42” x 48” with turn table. 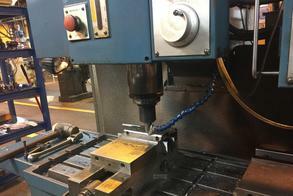 Toyoda FH 630 S 4 axis Machining Center with pallet changer. 49” x 33.5” x 30”. 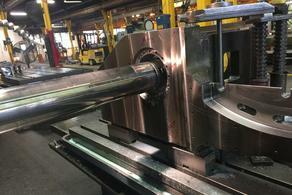 Niles CNC Vertical Turret Lathe 144” Table 196” Swing. Bullard Vertical Turret Lathe 36” Table 46” Swing. Le Blond Engine Lathe 21” Chuck 165” Bed. 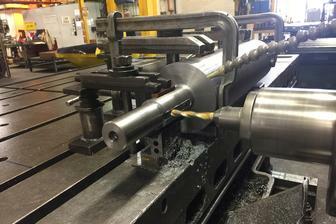 (2) Le Blond Engine Lathes 18” Chuck 60” Bed. Gisholt Turret Lathe 12” Chuck 36” Bed. 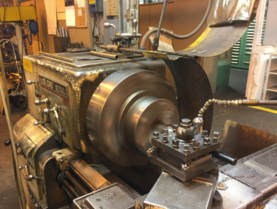 Seiki Turret Lathe 2” Chuck 30” Bed. Blanchard No. 18 Surface Grinder 36” Diameter x 18”. Mattison Surface Grinder 24” x 97” x 16”. Cincinnati Internal & External Grinders. Granite Inspection Table 4’ x 8’. Inside & Outside Micrometers up to 36”. Standard and Digimatic Height Gauges. Highly skilled Journeymen, Electricians and Mechanics on staff with off-site supervision assistance. Over 34,000 square feet of Assembly area. 50 Ton Capacity Dual Hoist Bridge Crane. 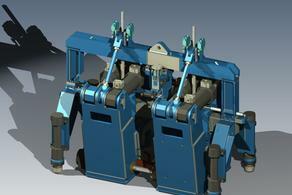 (2) 15 Ton Main Capacity 5 Ton Auxiliary Cranes. Multiple 5 Ton, 3 Ton, and 2 Ton Bridge and Jib cranes. Inside & Outside Micrometers up to 24”. Steam Cleaning and Grit Blasting. 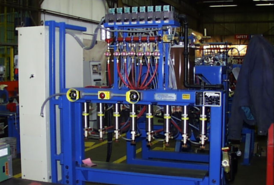 Tubing bending and custom hose crimping capabilities up to 2.5” hydraulic hoses. 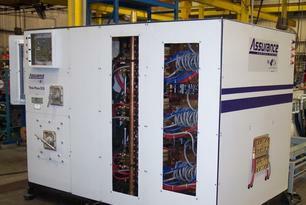 New hydraulic units built completely to engineered specifications with retrofitting capabilities. 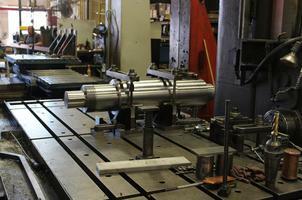 Hydraulic and Air Cylinder inspection and rebuild services. Tear down and inspection capabilities to rebuild equipment. 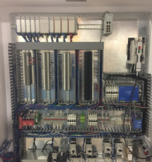 New and retro-fitted Electrical Panel builds, Electrical Cabinets, Operator Stations, Junction Boxes, Weld Controls, Hydraulic Cabinets, and Machine Wiring. PCB board assembly and testing. 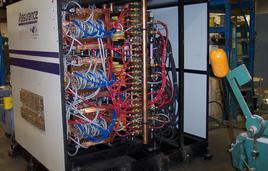 Complete transformer design/manufacturing and repair. 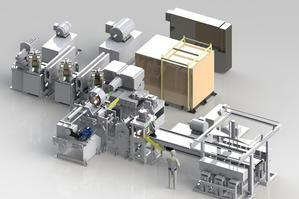 Including Coil Winding, Shellac Dip Tank, Shearing, Electric Oven and Copper Secondary Castings, machining. General Electric Hi Potentiometer Tester 10,000 Volt maximum. 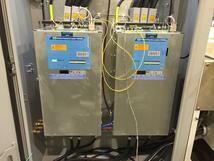 Testing and evaluation of customer transformers. 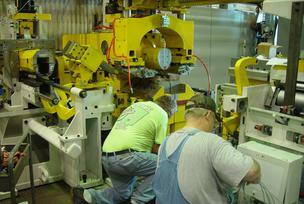 Transformer Manufacturing and rebuilding include: Federal, Swift Ohio and AI Welders (Scotland) designs. Diode secondary repair and replacement.